Outdoor Photographer magazine has come a long way lately. The magazine is under new ownership, Madavor Media, L.L.C. out of Braintree, Massachusetts. Wes Pitts, who worked for the previous owners for more than 17 years and apprenticed under Rob Sheppard, is the new Editorial Director/Editor. 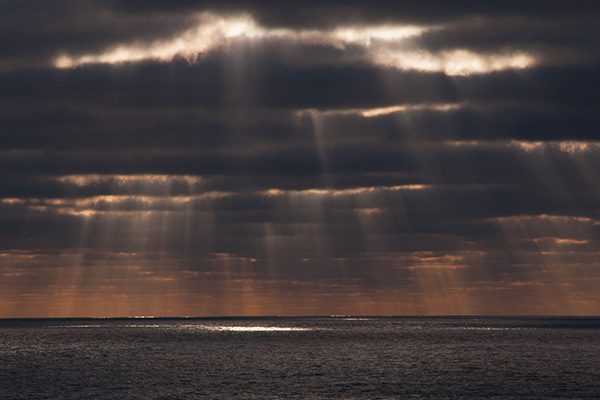 The articles and headlines now appeal as much to seasoned photographers as to beginners. There are still many articles about gear and locations, but these are done more tastefully, while more articles about the art and craft of photography are appearing. Some of the best writers from the Rob Sheppard and Steve Werner eras are back like Lewis Kemper, Carr Clifton, James Kay, Mark Edward Harris, Art Wolfe and others. Columnists such as Amy Gulick, Frans Lanting, William Neill, David Muench and others continue to produce excellent advice and insight. David Leland Hyde has been named on the masthead as a Contributing Editor. The reproduction quality still has a ways to go, but they are working internally on improving this and other aspects of the magazine to make gradual refinements over the coming months and years. The editor has expressed the objectives of bringing in more conservation photography and more quality coverage by the experienced professionals in the field. The Philip Hyde centerpiece feature immerses the reader in the conservation campaigns that made many of our Western National Parks. From Harvey Manning, author of the Sierra Club Exhibit Format Series book Wild Cascades: Forgotten Parkland, to David Simons, long-time resident, explorer, photographer and land conservationist in the North Cascades of Washington, from David Brower, Ansel Adams and Martin Litton to Eliot Porter, Point Reyes National Seashore, Dinosaur National Monument, Edward Weston, Minor White, the Bureau of Reclamation, Glen Canyon, Grand Canyon, Howard Zahniser, Edward Abbey, Slickrock, Canyonlands National Park, The Last Redwoods, Gary Braasch, Jack Dykinga, Backpacker Magazine, William Neill, Chris Brown, Lewis Kemper, Carr Clifton, Alaska: The Great Land and Wade Davis author of a new book, The Sacred Headwaters, this is an in-depth look at Philip Hyde’s career, his influences and those he influenced in the field of conservation photography. 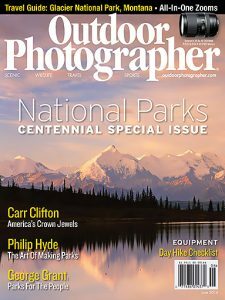 The Outdoor Photographer June National Parks Centennial Special Issue is on newsstands now and is one of the best issues of Outdoor Photographer yet. 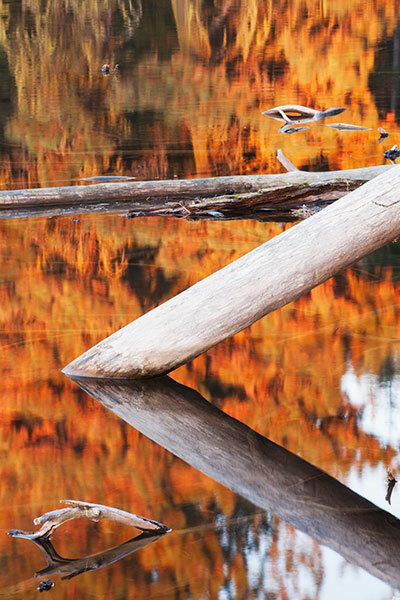 Do not wait because the special editions of Outdoor Photographer often sell out. This is not just a sales pitch. You can go online now and read Philip Hyde: The Art of Making National Parks, but if you want the special issue in the paper version, I would get it as soon as possible. Find it at Barnes and Noble and other booksellers and magazine racks, wherever magazines are sold. To read more about the George Eastman Museum Exhibition America’s National Parks, see David Leland Hyde’s guest post on the Outdoor Photographer Blog. 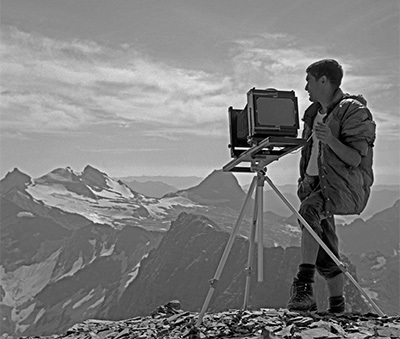 To read an in-depth overview of the exhibit including special programs and lectures see Philip Hyde in Photography and America’s National Parks Exhibition–Programs and Lectures. 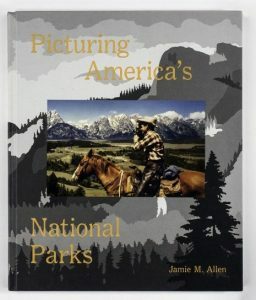 Starting when I was age four, my father, American conservation photographer Philip Hyde, and my mother, a self-trained ornithologist and botanist, took me on backpacks often more than a dozen miles into the wilderness in search of photographs to help establish national parks and wilderness areas. 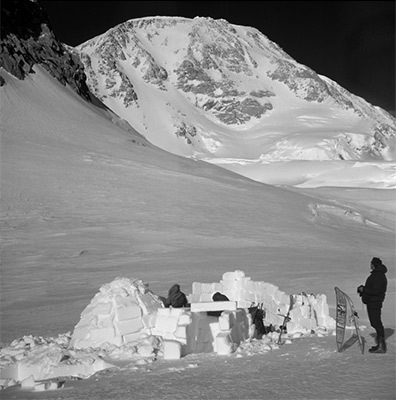 Dad also grew up watching his father compose and interpret wild places. My grandfather, Leland Hyde, a regionalist painter, depicted local scenes near the family home in Northern California. The Hydes also visited national parks when they took a drive across the rural countryside from San Francisco to New York. Dad first saw the Grand Canyon on that trip at age 11. With this first impression vivid in memory, during World War II on a furlough, he visited the Grand Canyon again with his sister, my aunt Betty. Dad later worked on a number of campaigns that took him down the Colorado River by Grand Canyon Dory, cousin of the drift boat, for the first time in 1956 and into the canyon on foot, mule or by riverboat at least a dozen more times in following decades. A year before I was born, my parents explored the flooding Colorado River and side canyons after the completion of Glen Canyon Dam in 1964. 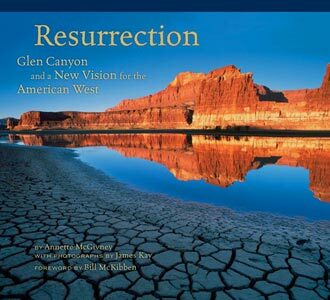 That same year, Dad and a coalition of photographers, scientists, writers and filmmakers took a dory trip through the Grand Canyon to make a book to help save the canyon from two proposed dams, one just above the National Park and one below. With Time and the River Flowing: Grand Canyon landing on desks in Congress, full page ads in the New York Times and other major papers, an international letter-writing campaign and a groundswell of public support like the young environmental movement had not yet seen, the Bureau of Reclamation abandoned its plans to build the Grand Canyon dams. 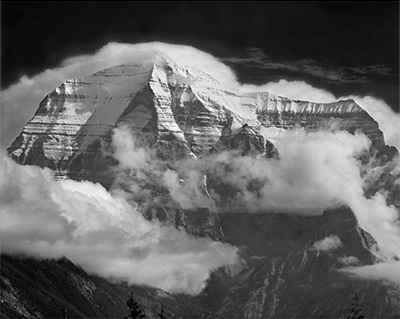 Having had a childhood immersed in wilderness, I am a believer in wild country and silence for the power it has to build character. It is what has built the American character since before our Declaration of Independence. If you take a helicopter or airplane into the Grand Canyon, it is more convenient, but less memorable. If I could take any of the tourists up on the North or South Rim behind the railings, making snapshots and give them all that I discovered about sedimentary rocks, erosion, myself and the world by investing the time to hike in the canyon, if I could give them the memory of what it was like to have a caring father hike the Bright Angel Trail with me as a teenager, they too would keep a piece of the Grand Canyon in their hearts forever. My experiences on a river trip and hike from Phantom Ranch to the South Rim on the Bright Angel Trail happened at the right moment to shape me as a young man defining my outlook on the world. Grand Canyon National Park worked on me, but the place we visited in the spring of 1979 has already changed and may not be the same as it was for much longer. Already overcrowding, airplane noise and wear and tear on trails, natural features and park infrastructure are overwhelming the underfunded National Park Service in Grand Canyon. For the majority of guests, their experience has diminished from immersion in a life-altering challenge and an up-close view of grandeur to the passive observation of a soon forgotten curiosity, like those found at a carnival or behind glass in a museum. 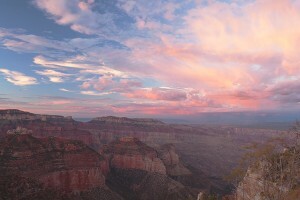 Today, three major threats surround the Grand Canyon: uranium mining, a proposed development with a gondola tram to the bottom of the Canyon at the eastern border of the national park, and the largest of all, a mega mall and resort larger than the Mall of America just outside the southern park boundary in the town of Tusayan. 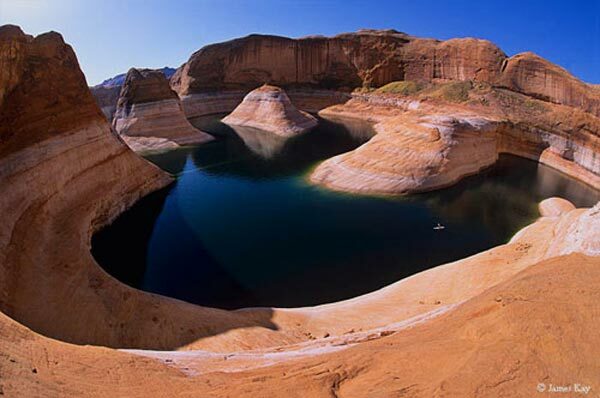 Because of these threats and water mismanagement, American Rivers has named the Colorado River the number one endangered river in the U.S. for three years in a row. 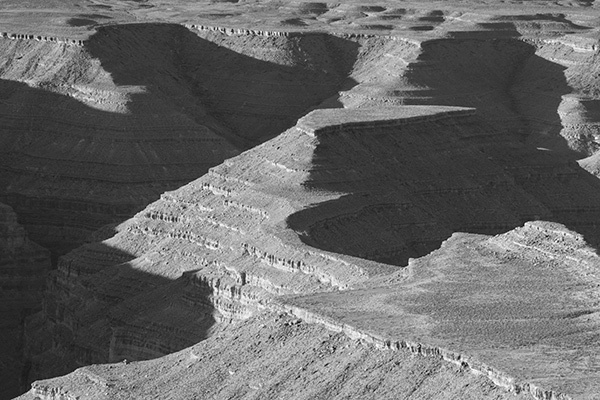 Though the Department of Interior banned new uranium mining claims in the Grand Canyon area for 20 years, pre-existing claims like the Canyon Mine carry on, despite opposition based on risks to groundwater, wildlife, endangered species and sacred sites of the Hualapai, Kaibab Paiute, Zuni, Hopi and Navajo tribes. The pending Grand Canyon Escalade development and tramway on Navajo lands bordering the national park on the east has divided the tribe and is currently in debate in the tribal council. The tramway would slice through Navajo, Zuni and Hopi sacred land at the confluence of the Colorado and Little Colorado Rivers. Nearly as great a travesty would be the visibility of the top of the tram and development from one of the most iconic views of the Grand Canyon, ironically called Desert View. The developer, R. Lamar Whitmer, said he wants to make this special part of the canyon easily accessible to the world. Next someone will want to build a tram to the top of Everest to allow everyone to experience the summit. Meanwhile, south of the national park boundary the U. S. Forest Service has opened a public comment period to end June 2, on whether it should approve the rights-of-way to pave and widen access roads providing for an 80 foot wide utility and footpath corridor through the Kaibab National Forest on the way into sections of speculative private land. The improved roads will pave the way for the quiet, recently incorporated company town of Tusayan to transform into a resort complex with three million square feet of commercial space including hotels, a luxury spa, a Western dude ranch, a Native American cultural center and boutique retail shops; as well as hundreds of private homes at a mixture of prices and a staging area for bus and air tours of the national park. These additions would greatly increase the burden of travelers in the already over-crowded national park with crumbling facilities. For most of two decades, Italian owned Stilo Development Group has been quietly buying up private land around the village of Tusayan. About a decade ago, Stilo made a first attempt to build a resort at Tusayan, but Coconino County residents voted it down. Stilo then convinced the Arizona legislature to make an exception to the minimum population requirement of 1,500 residents for town incorporation. The village of Tusayan, population 558, incorporated and formed its own town council and planning board. Stilo and local air tour companies campaigned successfully to pack the elected town council with development supporters, who then approved a resort plan three times as large as the original voter rejected Canyon Forest Village. Strategy Forty-Eight, the public relations firm for Stilo, on its website says it “helped Stilo develop a long-term strategy to build a positive corporate identity in town…” The PR firm’s “approach included targeted messaging, grassroots organizing, event planning and the production of a series of popular web videos during a successful political campaign funded by Stilo to incorporate the town in 2010.” Currently, on Tusayan’s Future Facebook page, Stilo is offering free tacos and the opportunity to “Learn more about the Tusayan Roadway Application and how to file a comment with the Forest Service.” Despite similar enticements by Silo several times a week, the majority of the Forest Service comments so far have been from all over the US, opposing the road improvements that will make possible a massive development close to the Grand Canyon. The current proposed vacation complex still has no specific plan to supply the vast amount of water it will use. 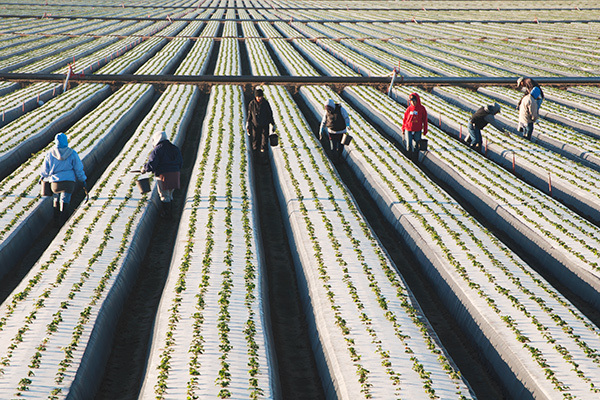 Drilling wells to tap groundwater could bring future lawsuits, but has not been ruled out. Arizona law requires that 100 years of water be available for any development in sensitive thirsty areas like Tucson, Scottsdale and Phoenix, but no restrictions exist around the vulnerable South Rim where most groundwater, seeps and springs source from two aquifers underlying the Coconino Plateau. Arizona law historically has separated surface and groundwater, but recent litigation in central Arizona along the San Pedro River has now legally established that surface and groundwater may be related, said Robin Silver, founder of the non-profit Center for Biological Diversity. 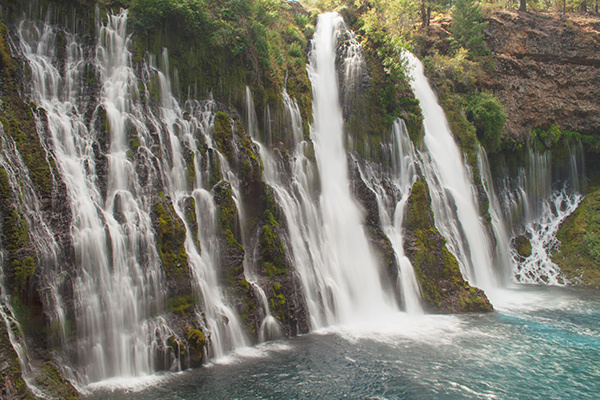 Silver also cited discharge analyses of two ecologically important Grand Canyon springs. Discharge flows from Cottonwood and Indian Gardens Springs have been decreasing since at least 1994. Though direct correlation has been difficult to establish because of the complexity of the two underlying aquifers, researchers have measured parallels between the small settlement already built at Tusayan and decreasing flows of the springs in the national park. National park officials and Havasupai tribal leaders have voiced concern that even small increases in groundwater pumping by any or all wells on the Coconino Plateau could deplete the more than 500 springs vital to life between the South Rim and the Colorado River. The aquifer-fed springs are also critical to the flow in Havasu Creek and its five waterfalls at the core of survival and tourism for the Havasupai Nation. The Forest Service is required to consider all of this in its cumulative effects analysis before approving the road rights-of-way. Water for hotels and amenities at the South Rim inside the park comes by pipeline from Roaring Springs on the North Rim. Due to rock cracks, shifts, falls, traffic on the Bright Angel Trail surface above the pipeline and the age of the pipe, it breaks, leaks and has to be repaired six to 30 times a year, said Tim Jarrell, park maintenance chief. Stilo representative Tom De Paolo said that other water supply possibilities for its mega resort include reversing and re-using the abandoned Black Mesa Pipeline that once carried coal slurry, coal mixed in water, from the Hopi Reservation to a power plant near Laughlin, Nevada. Water could also be trucked in or delivered by train, as done in other remote desert locations. Stilo has retained former U. S. Senator John Kyl as legal counsel to look into options. 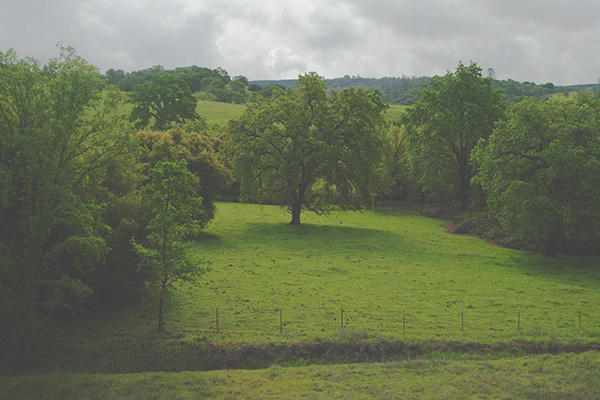 Even if Stilo puts together a water scheme, the proposed development would infringe on wildlife and habitat and could jeopardize endangered species such as the California Condor, Northern Goshawk, Bald Eagle, Mexican Spotted Owl, American Peregrine Falcon and several species of bats and squirrels. Over 20 types of plants are listed on the Grand Canyon special status lists. Also threatened are a few flowering plant and animal species found only in the area. The Center for Biological Diversity recently filed an emergency petition with the U.S. Fish and Wildlife Service seeking Endangered Species Act protection for the Arizona wetsalts tiger beetle and Macdougal’s yellowtop, a flower in the aster family found nowhere else on Earth besides the wet areas around South Rim seeps. The wetsalts tiger beetle is an important insect predator also endemic to springs of the Western Grand Canyon. Besides threats to native flora and fauna, present national park facilities cannot sustain more visitors. Park facilities are currently $330 million underfunded and behind in key upgrades and maintenance. The National Park Service has considered cutting back the number of park visitors and indicated it may need to cut back air traffic over the canyon. 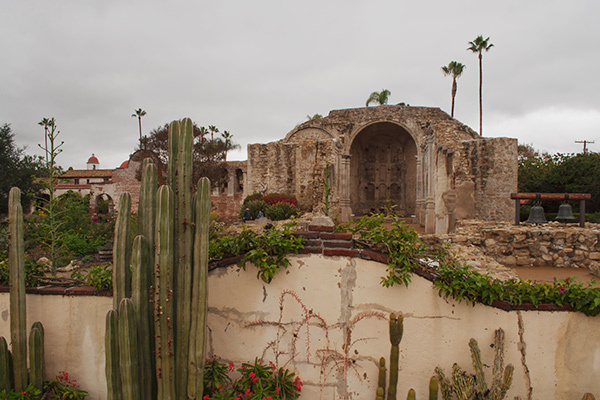 “It is a World Heritage Site, one of the Seven Wonders of the World—and that is not a place that needs additional development,“ said park superintendent David Uberuaga. 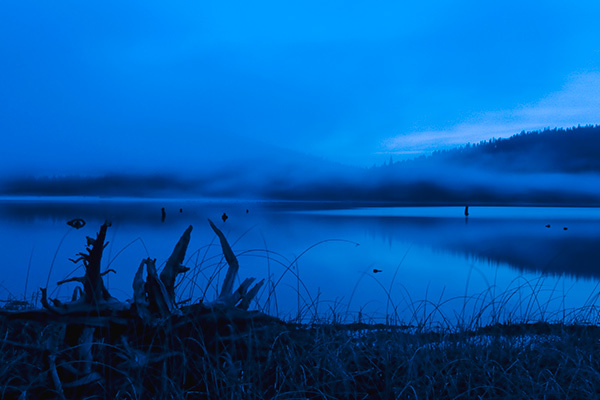 “It is not a place to be entertained, but a place to come to connect to creation and this experience.” Uberuaga said the Tusayan development is the greatest threat in the 96-year history of the park. 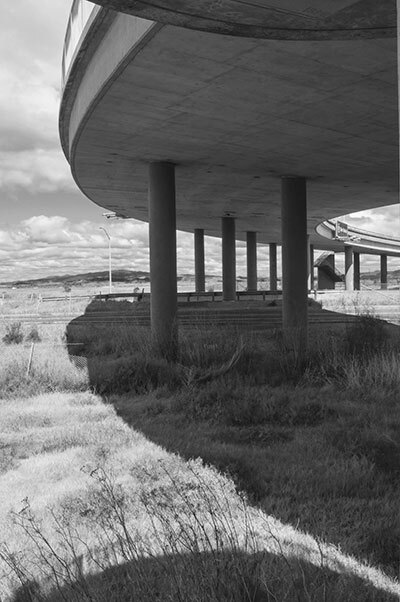 The Stilo complex is expected to hurt the economy of neighboring Northern Arizona communities. The Flagstaff Council passed a resolution opposing the application to the Forest Service by the town of Tusayan for the road easements that would make expansion possible. “Our hoteliers and our restaurateurs, our businesses here, we are the gateway to the Grand Canyon,” said Greater Flagstaff Chamber of Commerce government affairs director, Stuart McDaniel. Representatives from Williams, Cameron and Valle, Arizona also believe their communities will be adversely affected by a massive center at Tusayan. 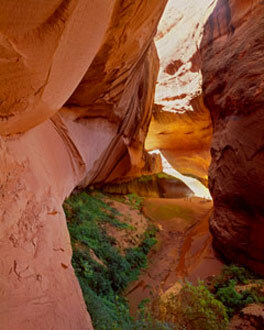 With opposition from surrounding towns, the National Park Service, the Havasupai Nation, a conservation coalition consisting of Earthjustice, the Sierra Club, the Center for Biological Diversity and Grand Canyon Trust, not to mention comments and letters from around the world condemning the expansion of Tusayan; will the Forest Service listen? The Kaibab National Forest has a track record of taking any opportunity possible to widen or pave roads. The Center for Biological Diversity is also currently commenting on and opposing a proposal by the Kaibab National Forest to open 291 miles of roads across 30,000 acres in the forest to motorized dispersed camping. The Forest Service has a mandate to support many uses of its forests, not to allow forests and wildlife to be destroyed to pave the way for one use. It also has a mandate to consider all impacts. Regarding the Stilo development, the Forest Service must be mindful of spillover impact into the adjacent national treasure. “The Kaibab National Forest continues to promote tribal participation in establishing agency management goals and activities,” said the 2013 Yearly Management Report. Readers who care about preserving the Grand Canyon and our national parks as they are, now is the time. Write the Forest Service before June 2, to make sure it lives up to its own publicity, or just fill out this handy, easy to fill out petition by the Center for Biological Diversity. A Grand Canyon Watershed National Monument may also be possible. Arizona Congressional Representatives Raul Grijalva, Ann Kirkpatrick and Ruben Gallego wrote a letter in January to President Obama stressing the natural and economic importance of the Colorado River watershed and the serious threats it faces. Letters from readers to the White House would also help build momentum for a national monument. Future generations deserve to explore the Grand Canyon as it has been. Each visitor who is willing, deserves to experience the challenge and elation of immersion in the rugged wild of the Grand Canyon, like I did with my family growing up. 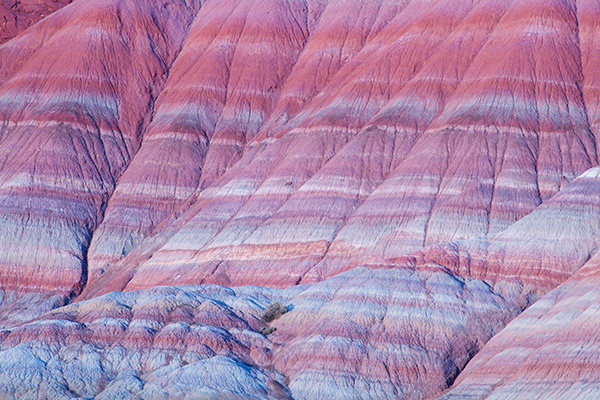 While on his way back and forth from his Northern Sierra home in California to Dinosaur National Monument, Philip Hyde explored and photographed much of Nevada, Utah, Arizona and parts of New Mexico. For more on his early travels in the deserts of North America, see the blog post series, “Toward a Sense of Place,” and the blog post, “Images of the Southwest Portfolio Foreword by Philip Hyde.” Below is the history of three Philip Hyde signature desert photographs that both exemplify his style of photography and inspired two generations of photographers. Based on the photograph locations in Hyde’s Sierra Club Books Exhibit Format Series volumes Navajo Wildlands: As long As The Rivers Shall Run (1967) and Slickrock: Endangered Canyons of the Southwest (1973) with Edward Abbey and in other Hyde books for Sunset and the prominent travel and natural history magazines of the day, large format film photographer Tom Till said that Hyde was the first to photograph areas of The Maze District of Canyonlands National Park and Waterpocket Fold in Capitol Reef National Park. 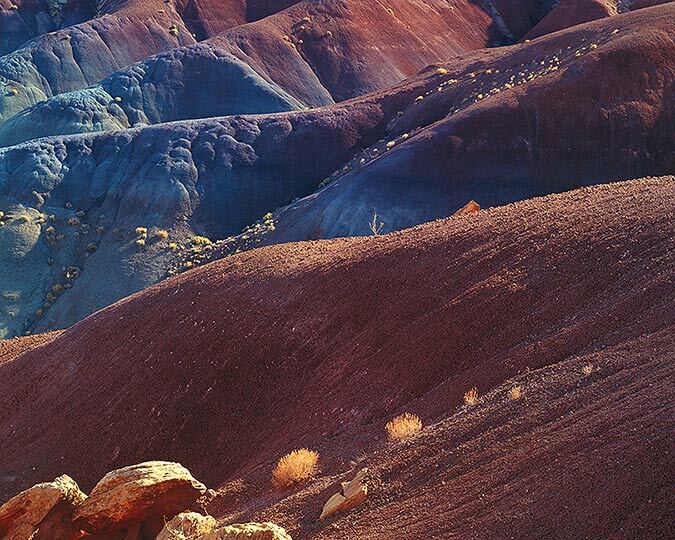 Large format photographer David Muench, who was 15 years younger than Hyde, a little later was also the first to photograph some iconic desert landscapes. Possibly one of the most emulated American classics of all-time, Philip Hyde’s 1963 “Evening Light on West Mitten Butte, Monument Valley,” came into the public eye just as the quality of color printing in books developed enough for such books to become popular. 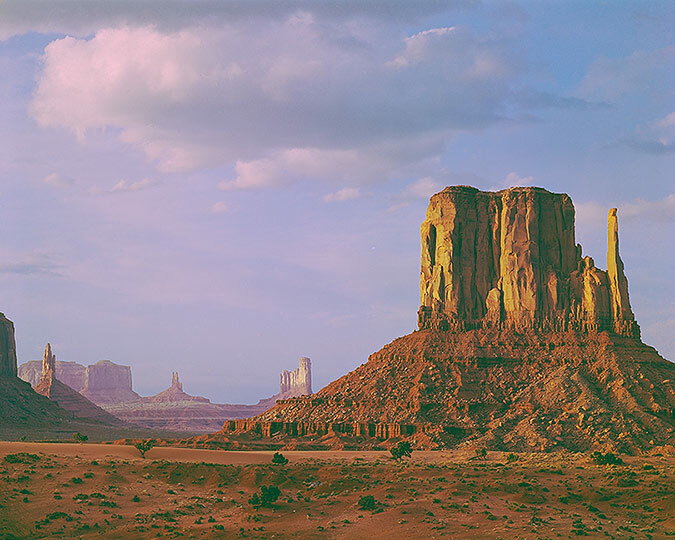 “Evening Light on West Mitten Butte” enjoyed much recognition when it first appeared in the Exhibit Format Series book, Navajo Wildlands in 1967. Since 1967, hundreds of thousands of similar photographs have been made and many published of this view of Monument Valley. Navajo Wildlands helped the Navajo Nation, now more correctly called by their own name Diné Nation, to form seven Navajo Tribal Parks to preserve some areas of the reservation for all generations. Two other Philip Hyde desert landscape icons have been emulated much since their creation, but they were neither the first, nor even early in the evolution of similar images, merely the most widely known and observed for inspiration. 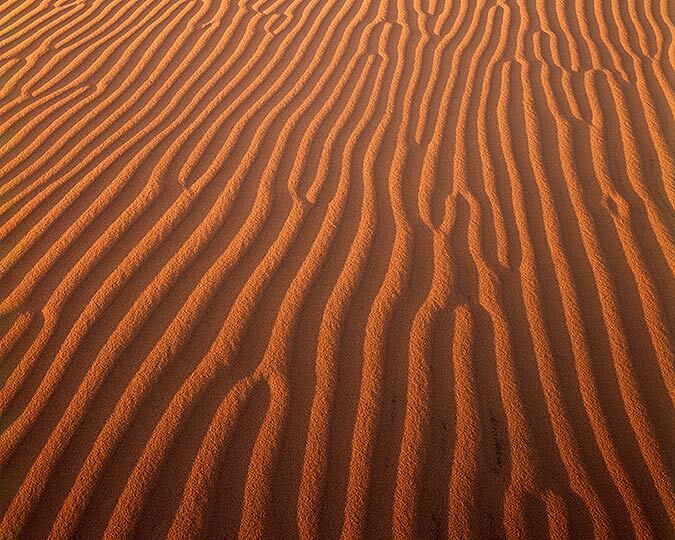 Ridges and ripples on sand dunes had been famously photographed by Brett Weston, Edward Weston, Ansel Adams and many others well before Philip Hyde made the color photograph, “Ripples on Kelso Dunes, Mojave Desert, California” in 1987. Hyde’s photograph perhaps was early in relation to all color images of this type of scene. Regardless, it was not until after “Ripples on Kelso Dunes” appeared in Drylands: The Deserts of North America that close up images of ripples on sand dunes flooded the photography market. Hyde’s original photograph was an unusual vertical that showed the ripples on the sand dunes in the foreground with the ripples fading into the distance at the horizon. 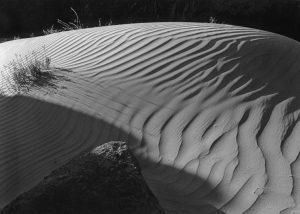 Yolla Bolly Press, the packagers of Drylands, who also packaged Galen Rowell’s Mountain Light: In Search of the Dynamic Landscape , convinced Hyde to crop “Ripples on Kelso Dunes” to a horizontal for the front pages of Drylands. This version only showing the bottom half of the original vertical, the close up part of the image, became popular for its abstract qualities. 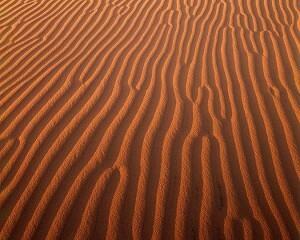 Many still today find the Drylands crop of “Ripples on Kelso Dunes” a stronger image than the original vertical. 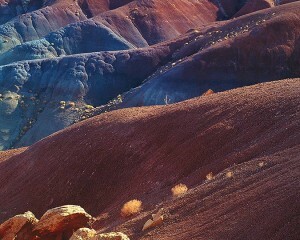 The second signature desert landscape that Hyde made as late as 1982 was “Chinle Shales, Circle Cliffs, Vermillion Cliffs National Monument, Utah.” This photograph also graced the pages of Drylands. Photography historians have found earlier photographs with vague similarity to this image, but it was not until after 1987 that similar images showed up in numerous magazines and other publications and now on the internet on various websites of photographers of the American Southwest. So what? What is the point of researching who came first and who came later? This kind of tracking is not necessarily done for further recognition in and of itself, but it does serve to further establish and educate scholars, art historians and the public in this regard: it is important for determining the influence of an artist like Philip Hyde on his medium. Influence has a great deal to do with the perception of the significance of the life’s work of any artist and how his or her work is positioned in the historical record. These three photographs play a consequential role in the history of photography, particularly of landscape photography and photography of the Western US and Colorado Plateau. 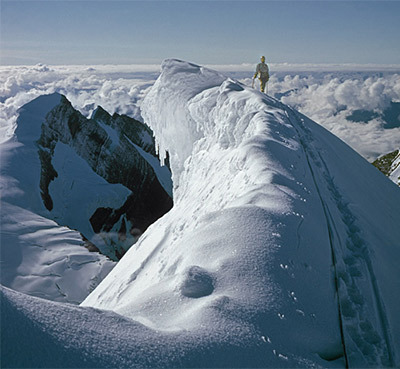 Similar photographs of a location do not necessarily emulation make, but in Hyde’s case, many of the who’s who of nature photography today acknowledge having been influence by his work. Philip Hyde made six or fewer original dye transfer or Cibachrome hand made color prints of each of these four images. Only three original dye transfer prints remain of “Havasu Falls,” two of “Chinle Shales” and none of “Evening Light, West Mitten Butte” or “Ripples on Kelso Dunes.” Please consider acquiring our new archival chromogenic prints of these images, produced in a special numbered open edition, while they are at a special introductory price for a limited time. For more about new release pricing, see the blog post, “New Releases Now at Special Introductory Pricing.” For more information about the difference between archival digital prints and archival chromogenic prints, see the blog post, “About Archival Fine Art Digital Prints.” To purchase prints, see the images large and read more descriptions see the New Releases Portfolio on the Philip Hyde Photography website. Have you ever seen photographs similar to any of these three? 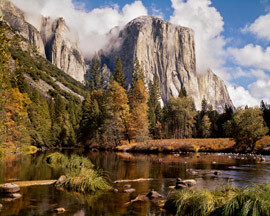 El Capitan, Clouds, Fall, Yosemite Valley, Yosemite National Park, Sierra Nevada, California, copyright 1973 by Philip Hyde. 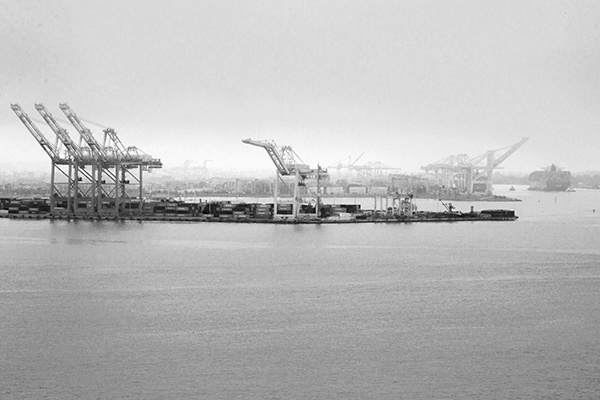 A giant 32×40 archival print of El Capitan, Clouds greets visitors to This Land Is Our Land exhibition. Due to popular demand, we have extended the Philip Hyde show another two weeks, until March 18. We look forward to seeing you in the gallery. 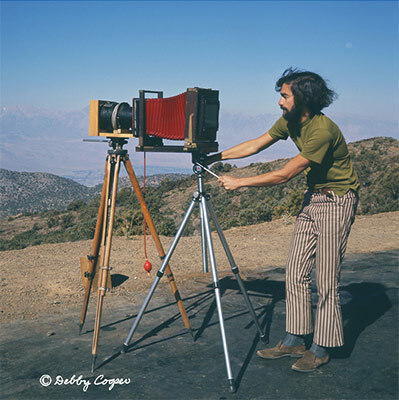 Philip Hyde (1921-2006) dedicated his life to photographing and defending the western American wilderness, working with the National Audubon Society, Wilderness Society, Sierra Club, and other environmental organizations during a career that lasted more than 60 years. 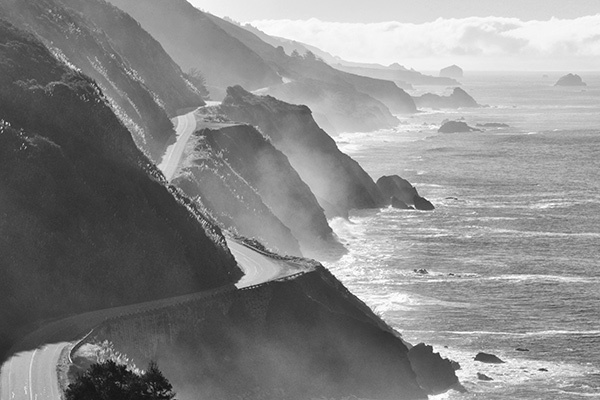 After studying at the California School of Fine Arts, now the San Francisco Arts Institute, under Ansel Adams, Minor White and Edward Weston, Hyde went on to make of some of America’s most respected landscape photographs, many of which were key elements in campaigns to protect the Grand Canyon, Point Reyes, California coastal redwoods, North Cascades National Park, and other sensitive lands. Tuesday – Friday: 10AM – 6PM, Saturday: 12 – 5PM, and by appointment. “Path of Beauty” Book Cover: Colorado River In The Grand Canyon, Grand Canyon National Park, Arizona, copyright 1986 Christopher Brown. Wilderness Guide, River Captain and Photographer Christopher Brown has given the world a photography book that highlights the Grand Canyon as grand vista, secret garden and old friend. 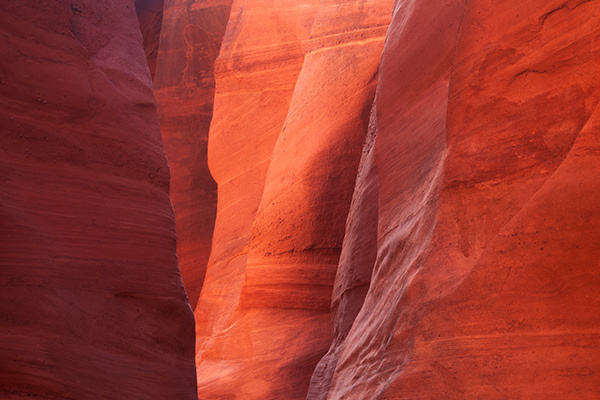 Certainly great craft and care are evident in Brown’s intimate images of luminous side canyons, but his big scenes of the Grand Canyon show us the Canyon’s vast size like never before. Chris Brown’s well-written text also puts the reader right into the canyons of sun-drenched rock, rampaging white water and hidden oasis gardens. 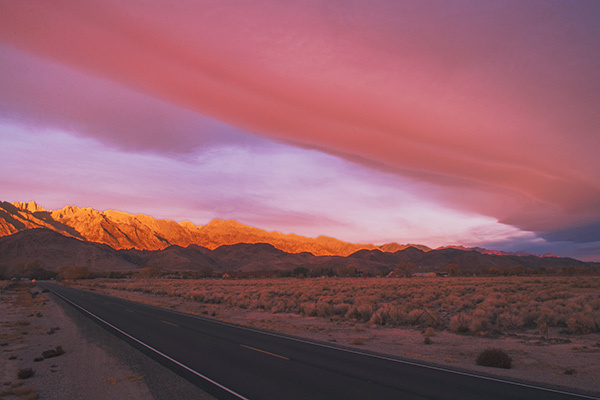 We feel the desert heat and the cold wave spray. 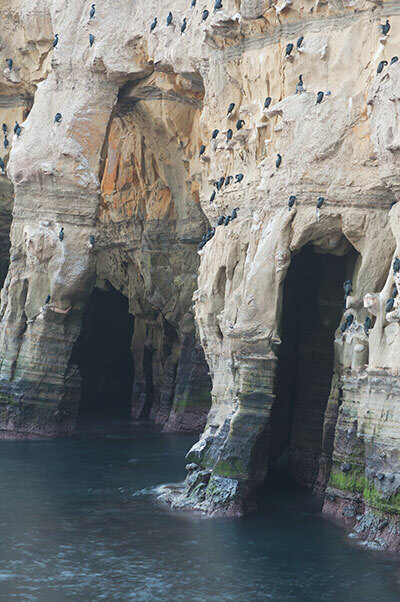 We sense the weight of time drifting slowly by as we descend into the deep gorges that Brown has explored for more than 50 years. 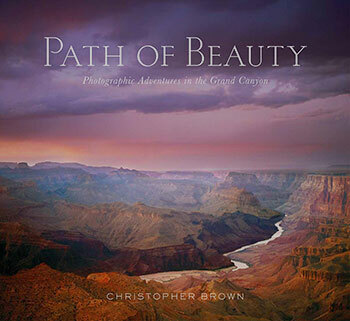 Christopher Brown gets into Path of Beauty by showing us various ways to get into Grand Canyon National Park. His discussion of Geography and the forces that shape the canyon is more wild than dry, the wildest forces being the raging of water in the river and the dumping of water from the sky in Monsoons and flash floods that choke the Colorado River with sticks, boulders and other material from side canyons. Brown vividly illustrates with active, interesting language and his powerful photographs how debris flows from side canyons produce increased excitement and danger in the rapids on the river. 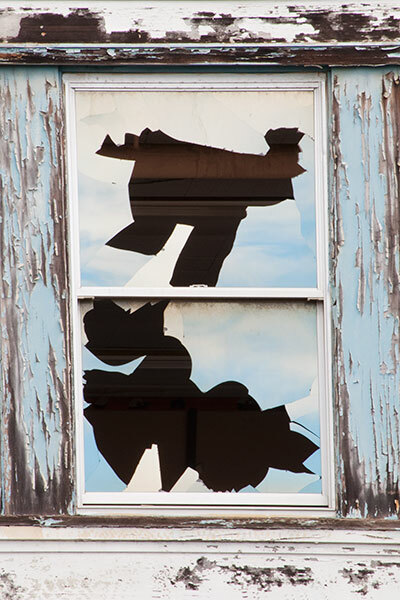 A boat caught in the hole can surf around for a moment on the wave, do a pirouette, flip back into the hole, sometimes with a half or full twist, and can window shade, flipping over and over. 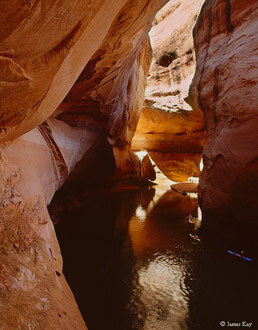 A swimmer going into a big hole can be driven to the bottom of the river by the strong down current, and tumbled along the rocks on the bottom while being thrashed around in every which direction by the water currents trying to break her arms and legs and pound the air out of her lungs. It’s dark down there too. On a good day, which is most of the time, she will come to the surface a hundred or more feet downstream, gasp for air, and wonder for a second if she is alive or in boatman heaven, and which would be preferable. Hopefully she won’t be tangled up with her boat, which usually comes out of the hole just behind her. This is one of life’s longest 15 seconds. Chris Brown goes on to share sometimes scary, sometimes humorous accounts of other mishaps and adventures he witnessed or participated in during his many decades rafting the wild Colorado River. Few men alive today know the Grand Canyon the way Brown does and it shows in his hard-won river wisdom and in his astonishing and vivid photographs. To begin I ask myself: “Where do I want to be today; what is calling me?” There may be a favorite place I want to revisit, or a new place I want to see. I don’t expect to see anything in particular, or to take a specific photograph. Mostly I want to photograph in a place where I enjoy being, and that is sufficient. I begin right there, and I go where I am drawn. I might wander off in one direction, and for no apparent reason, go off in another. I follow the slightest impulses and urgings, wherever the moment pulls me. I generally end up in a good place, and sometimes I wonder how I got there. Over the years I have learned that the intuition that guides me works well, so I trust it… When I hear someone espousing rules of composition I divert my eyes and cover my ears… If I have the desire to take a preconceived photograph, one that is in my head, or to find a certain light, I will feel this expectation and will see only this imaginary photograph, and nothing else. If I don’t find what I desire, I will feel nothing but frustration… The desire to create a good photograph can tie me in a knot of anxiety and paralysis. If it has to be good, this is an invitation for the gremlin of judgment and criticism to sit on my shoulder, just out of sight. He questions if something is really good, suggests it has been done better before, and tells me it’s not worth the time and effort. This is the kiss of death for any creative endeavor. I have learned to simply ignore this voice when I am working on anything creative, and the decision to ignore it is actually quite simple, and totally freeing. I have to remind myself of this every time I go out, because desire and expectation creep up unnoticed. I find that the less I expect, the more things will reveal themselves to me. Brown’s photographs, while spontaneously found, also exhibit a thoughtful, deliberate method once in process. His selection in the field and his processing of the image at home is carefully orchestrated, sometimes right down to each individual pixel. He spends at least many hours and most often many days working on each image in post-processing to get it exactly right. 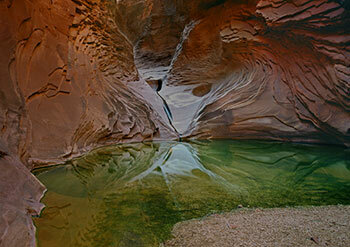 His images capture the context and character of the Grand Canyon, like few have ever done for any place. Brown took his friendship and insights from Philip Hyde seriously in that he has shown the world sights and insights that they might not have ever seen or realized otherwise. Through Path of Beauty, you can treat yourself to a whole new, more lifelike version of the Grand Canyon, the next best thing to being there. Though be hereby warned, Brown’s book will most certainly entice you to go there and perhaps inspire you to photograph the place yourself from a different perspective than you might have before. The only aspect missing from the book, in my opinion, is at least some mention of the grave threats to the ecosystems and doubts as to the very survival of the river itself, as it is known, going into the future. Nonetheless, keeping in mind this is not an environmental activism project or a book for a cause specifically, except perhaps the cause of natural beauty and the enjoyment of an unparalleled visual journey through the Grand Canyon on the Colorado River, this canyon and this river cannot receive too much praise or recognition for aesthetic and wilderness qualities alone. Feast your eyes on Path of Beauty. You will not be sorry, but you may be changed by the experience. The North Canyon Pool, Grand Canyon National Park, Arizona, copyright 1990 Christopher Brown. In the last 40 years, Christopher Brown has become a leading and award-winning full-time “professional” creative photographer and master print maker. 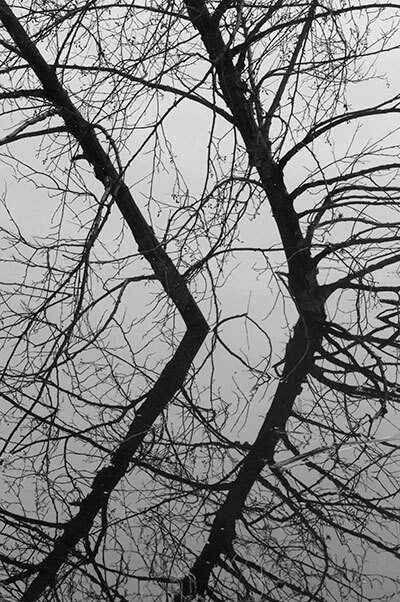 He teaches photography and print making in Boulder, Colorado. 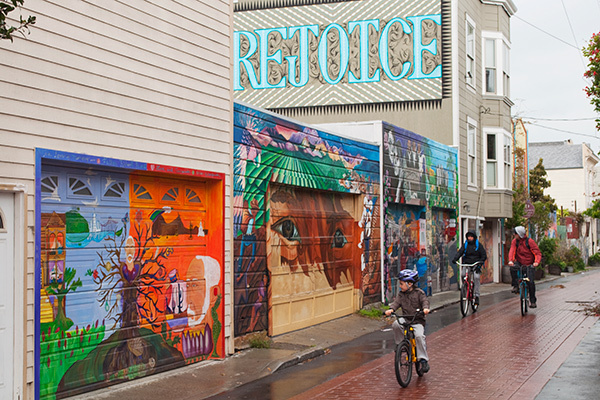 His work is displayed in many private and public collections across the United States, including the Denver Art Museum and the San Francisco Museum of Modern Art. Brown was a guide and boatman for Outward Bound for over 30 years, during which time he began to make photographs of the natural landscape. If somebody wrote me today, I would just send them a copy of that letter because what Philip said is what I would say to aspiring photographers now. He talked a lot about that if you are going to be an artist, you make your own path and you design your own life. I’ve always been that kind of person, a do it yourself guy. It was good to hear from him and realize that the struggles I was having, in terms of how to do this, were basically what it was going to be like. 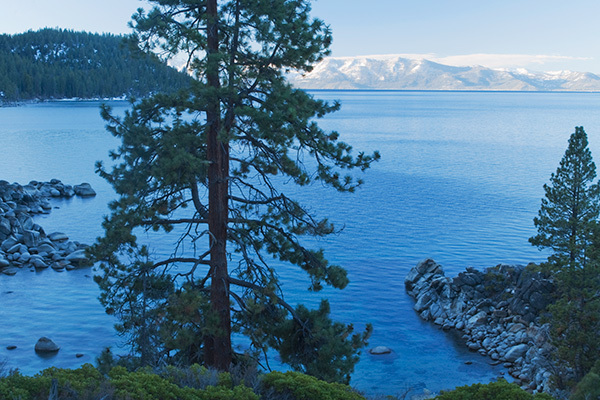 Nothing was going to change and that was ok.
Christopher Brown and his wife Elizabeth Black, a painter, went to visit Ardis and Philip Hyde in their mountain home in the Northern Sierra of California. 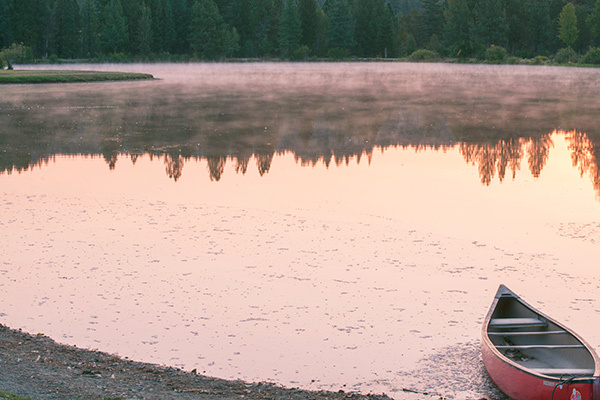 “It was like we were on the same river trip. He was just a lot further downstream.” Brown and Hyde went on to travel together many wilderness miles, including self-guided river trips down the Rio Grande and the San Juan Rivers, in the Needles and Island in the Sky, Canyonlands National Park. Photographer Philip Hyde let me be his friend, and we hung out together on the Rio Grand and in Canyonlands, laughing at each other fumbling with lens caps, debating whether an exposed piece of film was empty or full, while we searched for the next “snap.” Phil refused to be a guru or give advice, and steadfastly lived the belief that each artist has to find his own path. This may not be good advice for the use of guns, but it probably is the best policy for the use of cameras. What is your process for making photographs?